"Be among us as a servant and soldier of the Cross of Christ." 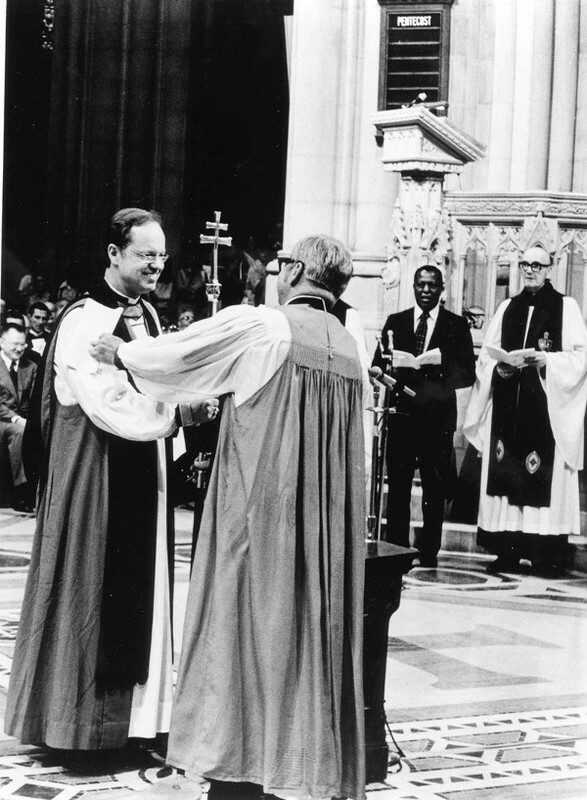 Bishop Hines passes Allin the primatial staff, symbol of the office of Presiding Bishop, 1974. “Allin Installation With Hines,” Venture In Ministry: John Maury Allin, accessed April 21, 2019, https://www.episcopalarchives.org/jma-presiding-bishop/items/show/110.